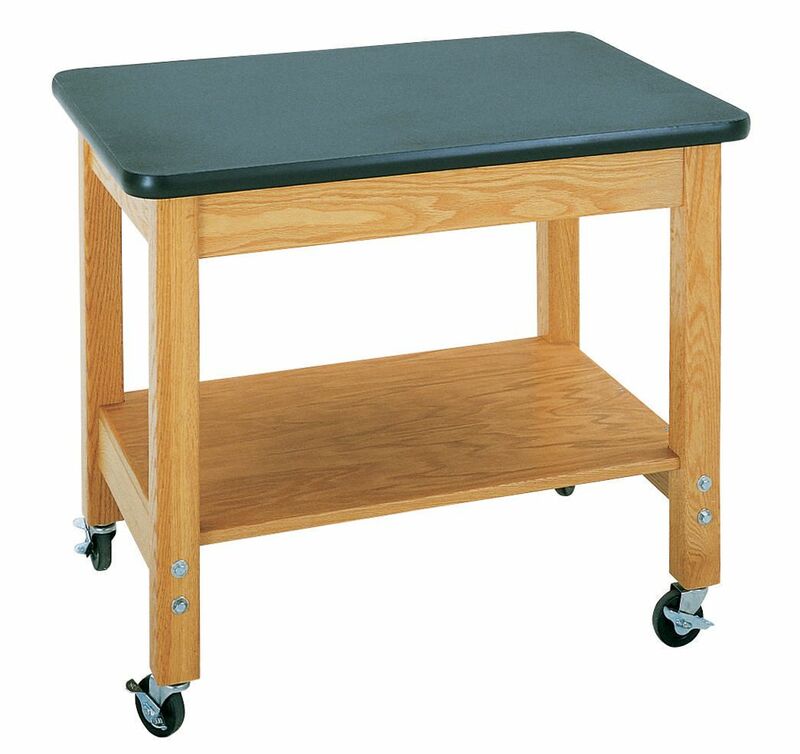 Solid oak demo carts are designed for the transportation of equipment and supplies. The legs are 21/4" square and are securely fastened to the 41/2" high apron with factory installed 5/16" hanger bolts through the heavy-duty 13 gauge steel corner braces. Includes leg stretchers and auxiliary oak plywood shelf. The unit rolls easily on 4 facory installed 3" ball-bearing swivel casters with brakes. The cart is finished with a chemical-resistant, earth-friendly UV finish. The unit is supplied with either a factory installed black 11/4" Plastic Laminate or 11/4" chemical-resistant ChemGuard top.